THE AMEL SPIRIT IS IN CONSTANT RENEWAL. 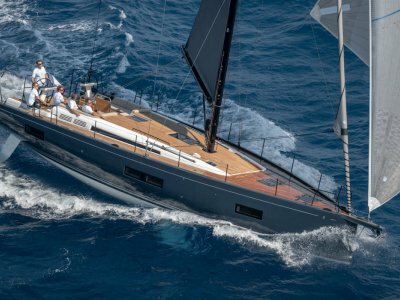 Behind the modern lines of Amel yachts hide fifty years of know-how, born from Henri Amel's passion for ocean-going sailing and ship-building. 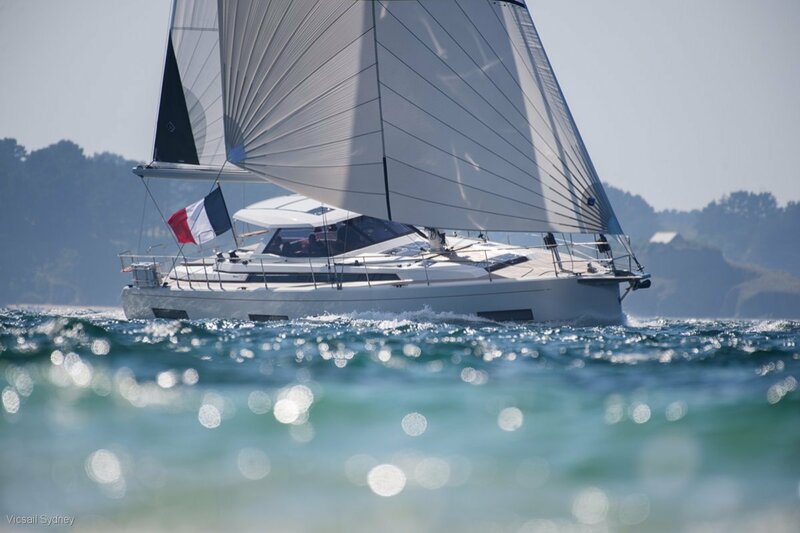 The Amel equipment and design are in constant development to guarantee optimum onboard comfort, regardless of the sailing conditions. 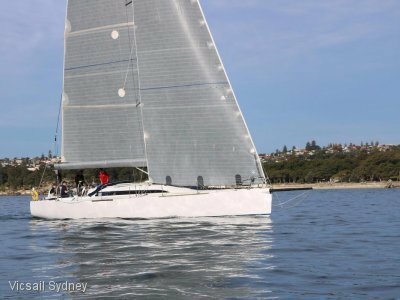 Sailing performance is not compromised in the Amel 50 with tall mast head sloop rig, Hydranet furling sails, twin rudders and performance keel. The centre cockpit with hardtop and opening roof are the nucleus of the yacht with sail controls and helm all enclosed from the elements for comfortable passage making. The cockpit is also the center of outdoor living with large dining table and seating for entertaining. A large option sunbed can be enjoyed on the aft deck. 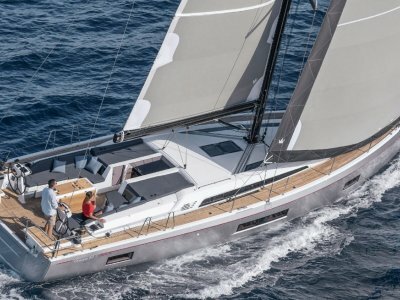 The heartbeat of the Amel 50, the Volvo D3-110 is housed in the unique centre engine room which is water tight, fully insulated from the boats interior and provides easy access for service. The central engine room is akin to a superyacht and houses all the boats machinery providing quiet enjoyment for all passengers. Vacuum resin infusion moulding. PVC closed cell foam sandwich (upperworks and deck). Double cabin forwards, 2 pullman berths forwards, head/shower forwards. Saloon with chart-table, settes, galley. Large owners cabin aft with ensuite. Tri-radial cut Hydranet mainsail. Tri-radial Hydranet genoa. Sloop Rig. 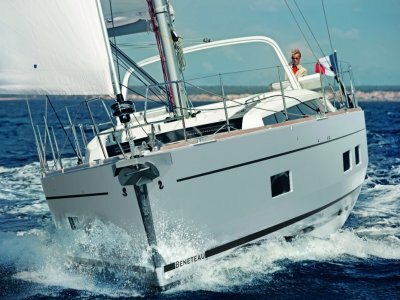 AMEL mast and electric in-mast furling system. AMEL boom and electric clew sheeting system. Finish : 2-component polyurethane paint. 2 sets of spreaders. Adjustable rigid down-haul on the boom. 2 manual genoa sheet winches (black anodized Harken). Electric winches available in option. 1 manual mainsail sheet winch (black anodized Harken). Electric winch available in option. 2 manual winches on the mast. 2 halyard downhauls on the mast.